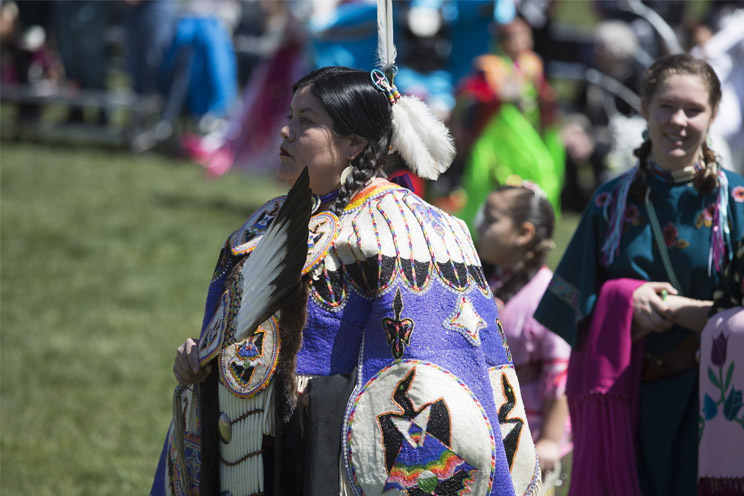 The modern powwow and many styles of contemporary powwow dancing have their roots in the historic warrior societies of the Southern and Northern Plains. 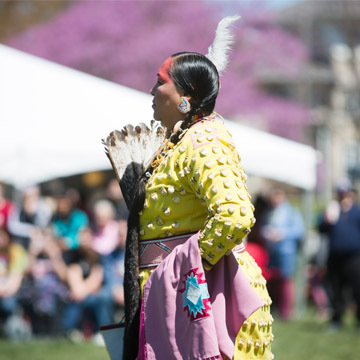 Over time, these dances, ceremonies, and gatherings have evolved from formal, tribal-based ceremonies into modern-day intertribal celebrations of culture, dance, song, crafts, food, and pageantry. 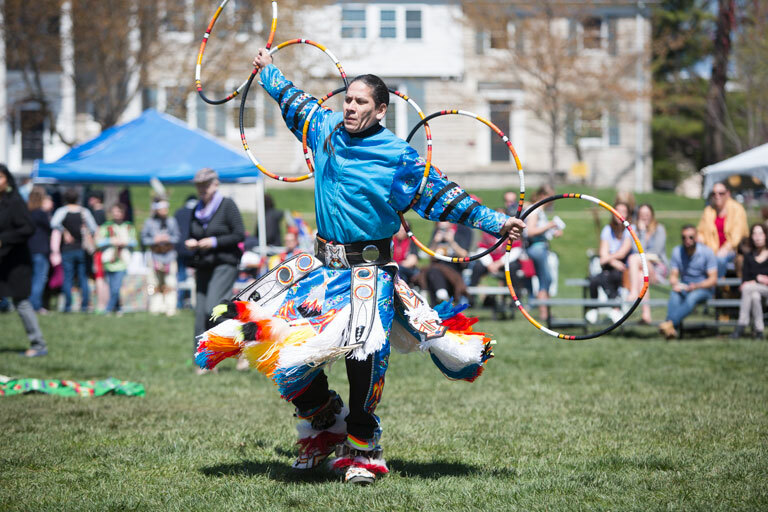 Today powwows are held across the United States and Canada, in small towns and in big cities. 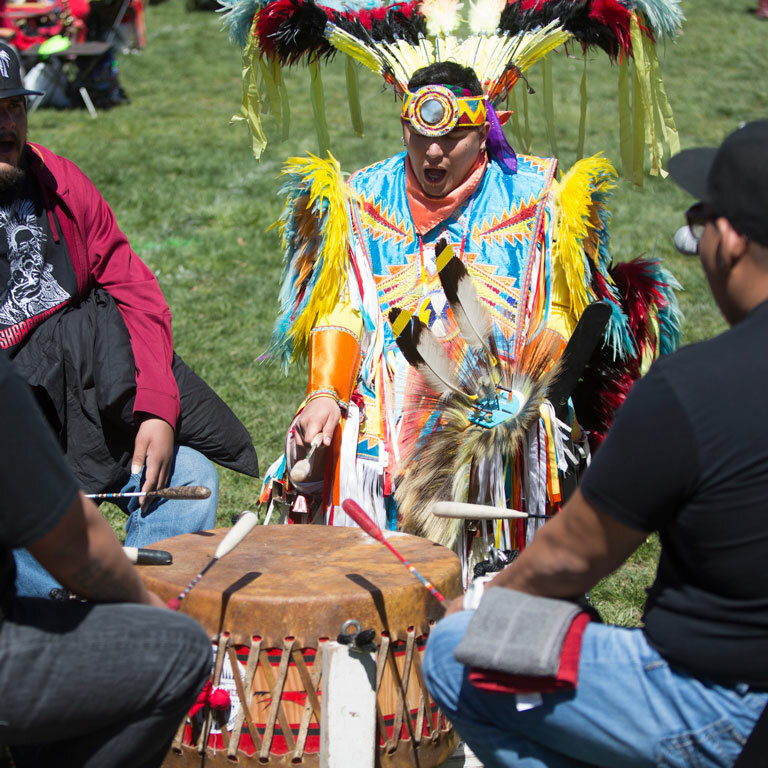 These quintessential social gatherings can take place anywhere – from community dance grounds to large arenas and convention centers. 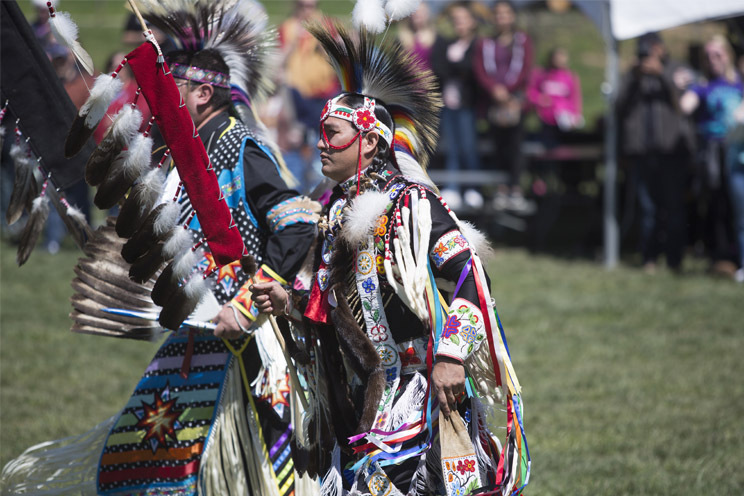 The powwow has become a way that Native American people representing all tribal backgrounds can join together to share experiences, reconnect with old friends, and make new ones. It is an opportunity to reflect on time-honored traditions, while helping to educate future generations of dancers and singers. Please respect elders at all times. Elders are to be served FIRST at meal times. Do not touch dancers’ regalia or jewelry. Walk around, not through, the dance circle. Donations are encouraged at blanket dances. Please do not dance in the arena until the emcee announces the invitation. 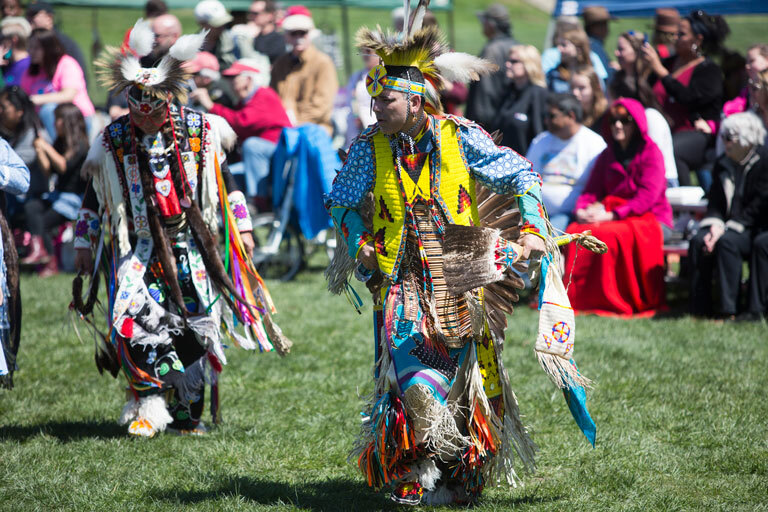 Please direct any questions you might have to a powwow volunteer. It is polite to ask permission before taking a dancer’s photo outside the arena. If you would like to know more about a dancer, dance style, or a dancer’s clothing, respectfully ask that dancer.